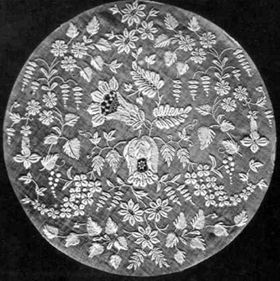 Embroidered bonnets are a very old tradition in France in the line of the " Butterfly Henin " of the Medieval Period. 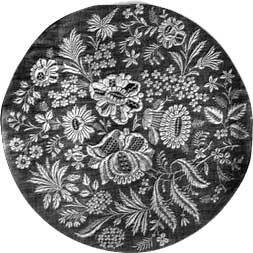 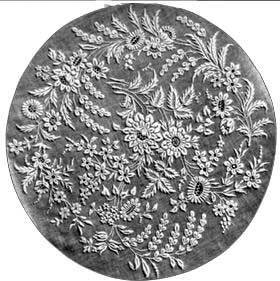 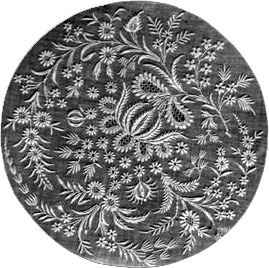 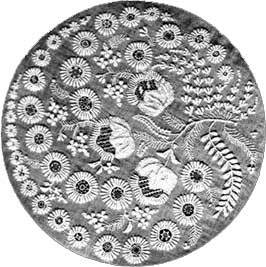 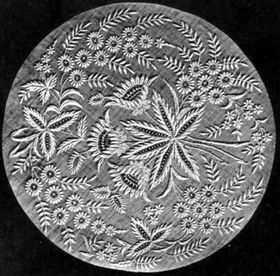 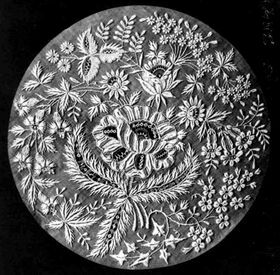 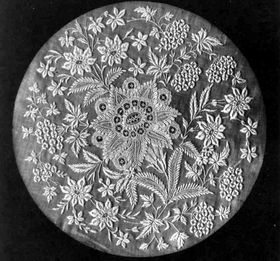 Motifs are almost always inspired by the local flowers: roses, eglantine, cornflowers, carnation, blindweed, daisy. 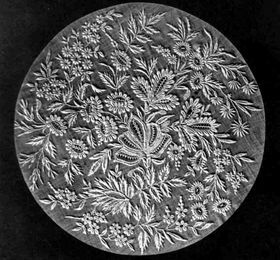 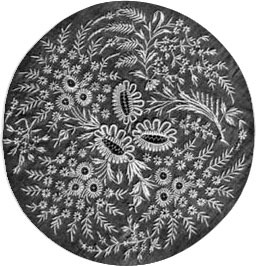 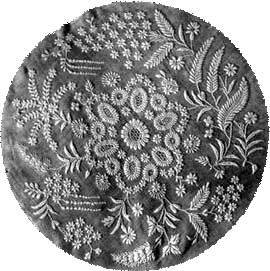 Sophisticated embroidery on young girl’s hats appeared only in the 19th century. 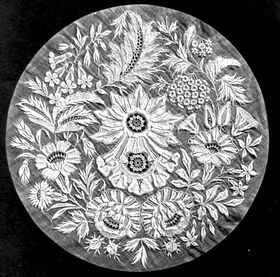 At that time each province had regional costume. 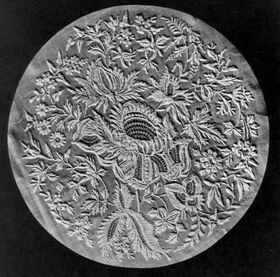 In some regions like Brittany, each town had its own bonnet style. 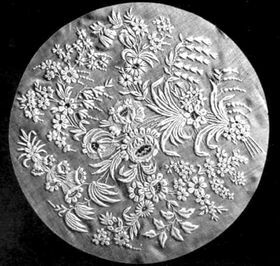 Furthermore the bonnet design, the number or size of ribbons varied depending on your age or your wealth. 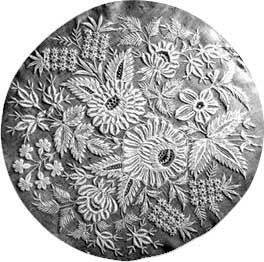 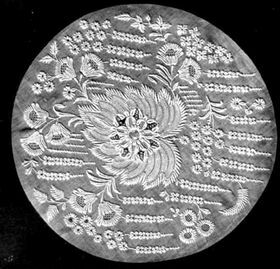 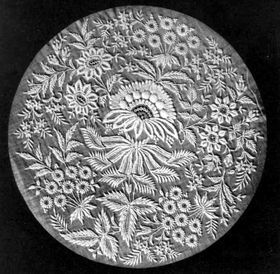 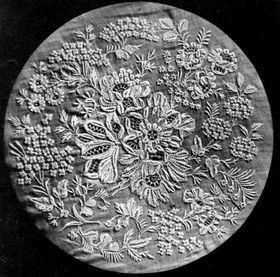 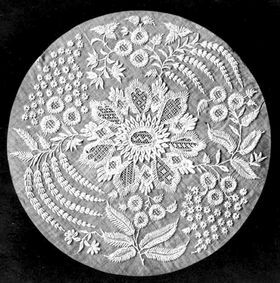 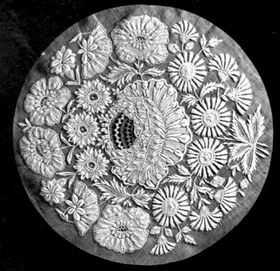 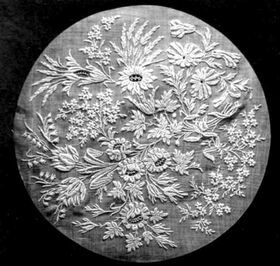 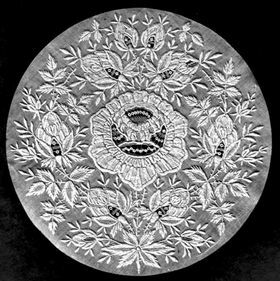 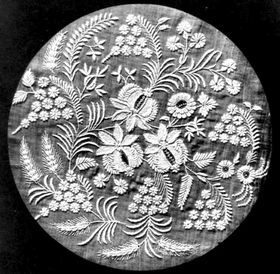 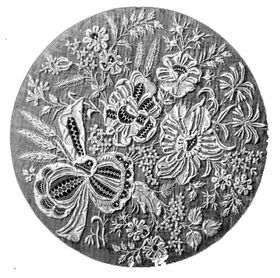 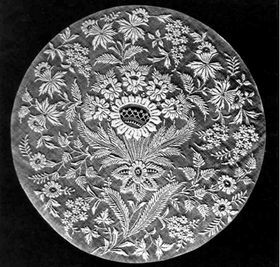 In Normandy, a French region with a long tradition of lace making, bonnets could achieve a important hight due to multiple layers of Alencon or Valenciennes lace. 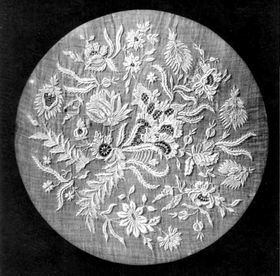 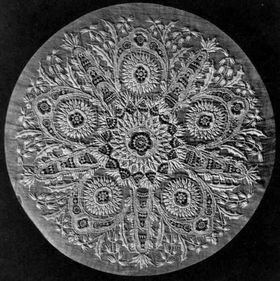 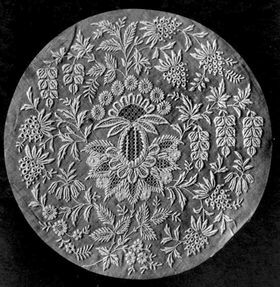 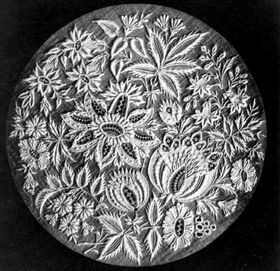 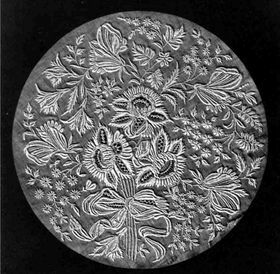 Most of the embroidery shown here were made on lawn or batiste .